Adolescents 360’s (A360) Project Director Manya Dotson plastered an oversized sticky-note on the side wall of the team’s retreat space. Her hands danced as she brushed pen to paper: drawing a curve to explain how people internalize new information. Manya is leading A360’s weeklong retreat, equipping the team to transition the adolescent and youth sexual and reproductive health (AYSRH) project to its next phase of adaptation. A360 reflects a radically different approach for the PSI network—one that harnesses a Human Centered Design (HCD) approach in merging a motley crew of researchers, public health experts, developmental scientists and young people to conceive and implement new systems that expand how adolescent girls access and perceive modern contraceptives across Nigeria, Tanzania and Ethiopia. By elevating young women as equal project partners, A360 flips the traditional model of boardroom-based program design to yield AYSRH solutions that account for the needs unique to the girls A360 serves. As A360 transitions to its adaptive implementation phase, the project’s annual retreat delivered the team a visual framework to digest the process of change. A360’s weeklong retreat falls at the culmination of the project’s two-year ideation to pilot phase, and at the start of A360’s next and final frontier: adaptive implementation. As Manya understands: guiding the team through the next transition is paramount to ensuring A360’s success. The Stairway to Internalization, commonly known as the change curve in management settings, provides a framework to digest that process. “Where are you?” Manya asked, directing the A360 team to the curve’s seven indicators: contact, awareness, understanding, engagement, acceptance, commitment and internalization. Fifi Ogbondeminu, A360’s Service Delivery Specialist at SFH Nigeria, had entered the week straddled between awareness and understanding. But after five days of breakout sessions and group dialogues, of afternoons spent sifting through, modifying and acclimatizing to adaptive implementation resources, Fifi had reached the curve’s fifth indicator: acceptance. For Fifi, the Stairway to Internalization delivered a visual to embrace the milestones and reevaluate the challenges that remain within Nigeria’s A360 efforts. A360’s Nigeria intervention takes the form of 9ja Girls, a program that responds to Nigerian girls’ desire for financial independence and quest for identity. 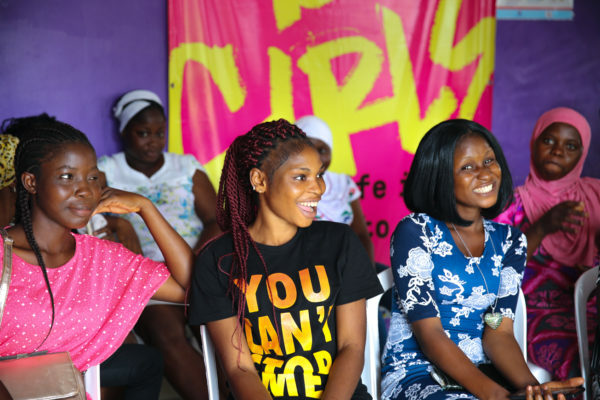 9ja Girls provides agency-building sessions in girls-only, government-donated health clinics—offering young women a private, on-site contraceptive counseling session with a youth-friendly provider. But in A360’s latest transition from pilot to adaptive implementation, Fifi understands: change is coming. Absorbing the information and applying the insights to 9ja Girls’ optimization process will be critical to prime the program for sustainability well after A360’s work completes. The change curve offers a framework that, as Fifi explained, the core Nigerian team, the girls A360 works with and the field workers who implement the AYSRH solutions can tap into—internalizing where they stand in a project that requires synchronization to ensure the outcome’s success. Adolescents 360 (A360) is a four-and-a-half year initiative co-funded by the Bill & Melinda Gates Foundation and the Children’s Investment Fund Foundation (CIFF). The project is led by Population Services International (PSI) together with IDEO.org, University of California at Berkeley Center on the Developing Adolescent, the Society for Family Health Nigeria, and Triggerise. The project is being delivered in Ethiopia, Nigeria and Tanzania, in partnership with local governments, local organizations, and local technology and marketing firms. In Tanzania, A360 is building on an investment and talent from philanthropist and design thinker Pam Scott.